Bella & Friends Clear-Mount Stamp Sets by Stampin' Up! Dogs are a person’s best friend! 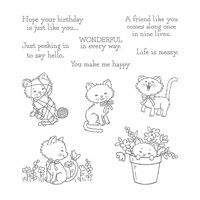 Use this cute stamp set with everyone’s best friend to make your friend’s day.